Le Cinque Vie at a few minutes from Ragusa,and the ancient Ragusa Ibla, and from the sea. 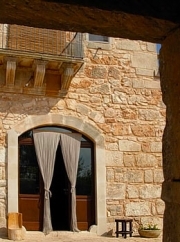 The house offers 6 rooms of which 4 are double and 2 are triple rooms, all air-conditioned, with bathroom, shower, TV, telephone and fridge-bar. 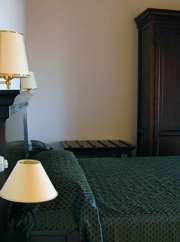 The quality furniture and all comforts will make you have a very pleasant stay. The kitchen and common areas are set on the ground floor, in the “dammusi” , which have been restored according to the typicalness of our rural architecture. All around the house, the country, with secular trees and Mediterranean essences, herbs and wild vegetables (that we will cook for you….!) and the Garden , with a swimming pool and a tennis court. . Not far from here you are plunged into the history of our area: Baroque-style Ibla, the old part of Ragusa, with its splendid buildings and palaces, churches, domes, never-ending steps and numerous souvenir stores, pubs and restaurants, all in a suggestive play of deep shadows and bright light. You can take a trip to Marina di Ragusa, on a latitude further south than Tunis, and bathe in the Mediterranean Sea where the beaches are of fine golden sand and the sea is warm and enchanting. You will soon realise that everything the holiday-maker can hope for is right here (maxi discos, pizzerias and beach bars, shopping, open-air theatre performances and an infinite choice of genuine Sicilian ice creams made by the bars and ice cream parlours themselves. From Catania to Ragusa via main road 514 (90 km). Exit Santa Croce.